Tuesday 19th January, 2-4pm at Leeds Church Institute, 20 New Market Street, Leeds, LS1 6DG. 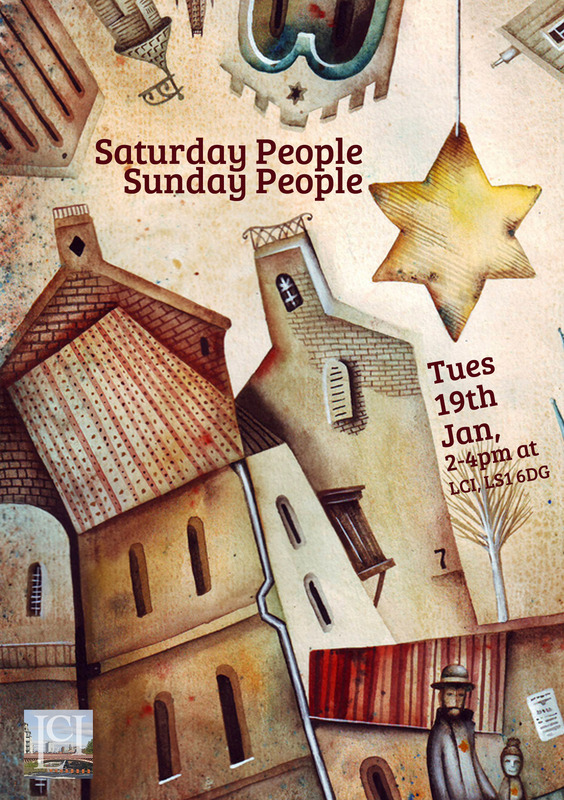 LCI Perspectives event-as part of an outreach programme to other communities, Makor, the Jewish cultural centre, offers a talk titled ‘First the Saturday people, then the Sunday people’. The talk features the current experiences of Christian communities in the Middle East and compares it to the previous experiences of Jewish communities. Also included are the history, religions and cultures of the Middle East and consideration of possible future developments. For further information or to book phone 0113 391 7928 or email events@leedschurchinstitute.org.